Amaravati, the People's capital of Andhra Pradesh, is envisioned to be a city of world-class standards with a vision of increasing Andhra Pradesh’s prominence in the world. The Capital Region Development Authority (CRDA) is leaving no stone unturned to provide cutting-edge infrastructure, comfortable livelihood and immense prosperity for the People of Amaravati. To illustrate, the Land Pooling scheme adopted by Amaravati is the largest and the most successful of its kind in India, and is a manifestation of the people's desire for a world-class capital. 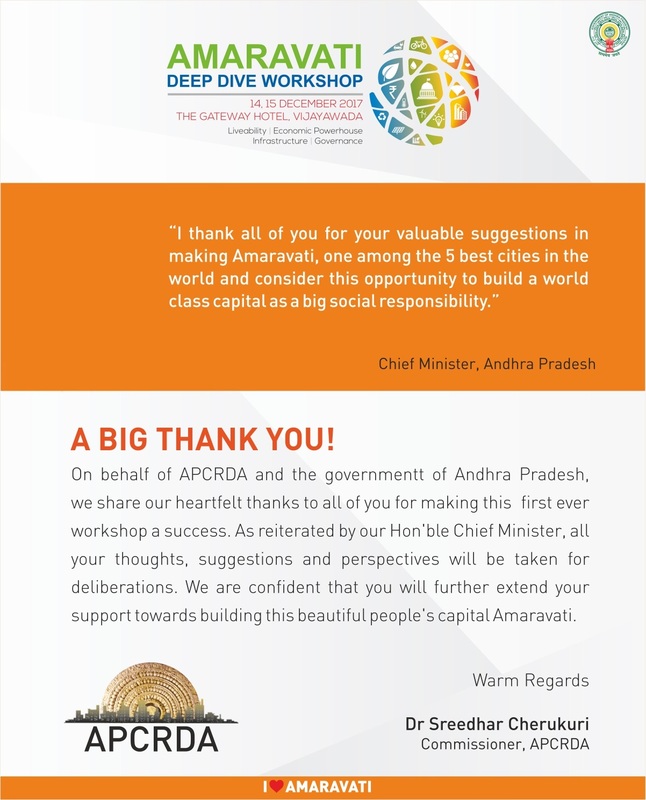 The AMARAVATI DEEP DIVE WORKSHOP 2017 initiative is, but a natural step in the direction of participation by diverse stakeholders in building a true people’s Capital at Amaravati. As Amaravati City continues on the journey to transform from a city to “Happy City” by creating sustainable communities, AMARAVATI DEEP DIVE WORKSHOP epitomizes our search for collective learning and discovery. AMARAVATI DEEP DIVE WORKSHOP 2017, With its theme of building a happy People’s Capital, aims to review the substantial progress the city has achieved so far in alignment to the city’s vision. 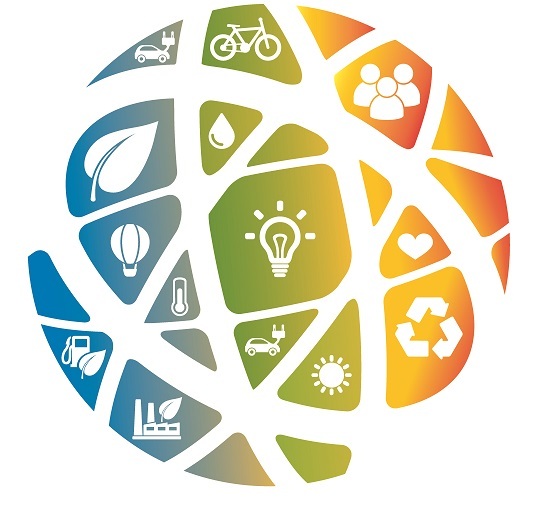 The workshop will invite global best thinkers to share best practices and innovative ideas across 4 elements of the vision i.e Economic development, Quality living, Smart and Sustainable Infrastructure and Governance. Key output of the workshop will be to draft an actionable implementation plan to bring the vision to reality. Hon'ble Chief Minister, Nara Chandrababu Naidu will spend a significant part of the 2 days in the workshop along with senior bureaucrats of Government of Andhra Pradesh. AMARAVATI DEEP DIVE WORKSHOP 2017 is to be held on 14th and 15th of December 2017. AMARAVATI DEEP DIVE WORKSHOP 2017 is to be held on 14th and 15th of December 2017 @ The GateWay Hotel, Vijayawada .